Embrace your dark side—and the season’s boldest bridal trend—with these raven-hued statement pieces. By Andrea Timpano·	 1/2/2018, 5:15 a.m. The inspiration: “Dillon” lace gown with off-shoulder jacket and taffeta belt, Enzoani. “English Rose” balconette bra with embroidery, $200, La Perla. 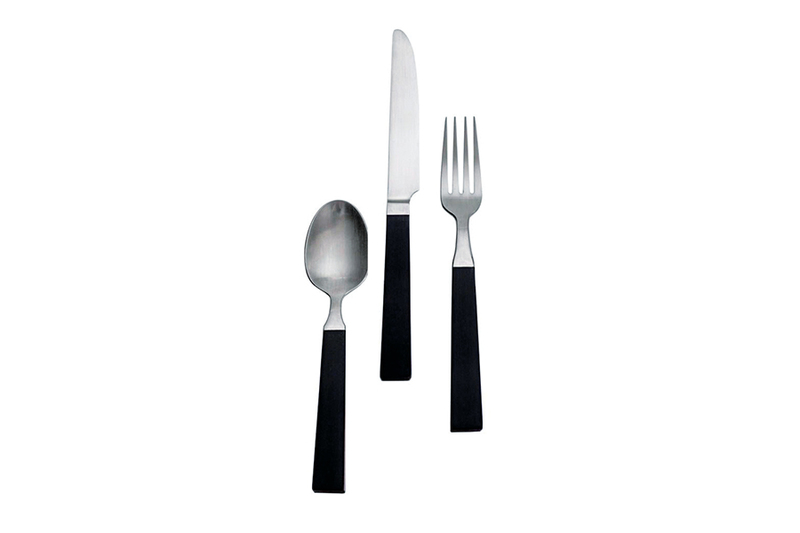 “Westport” stainless steel flatware, $89 for a five-piece set, Simon Pearce. 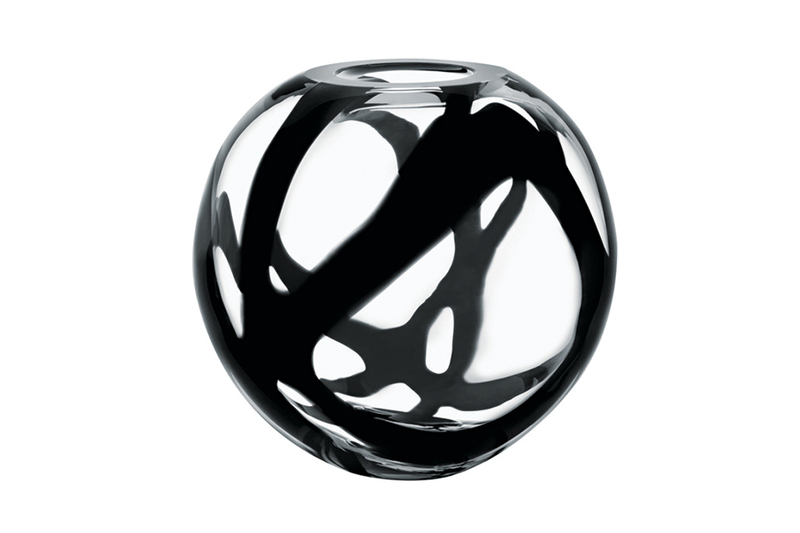 Anna Ehrner for Kosta Boda “Globe” crystal vase, $475, Didriks. 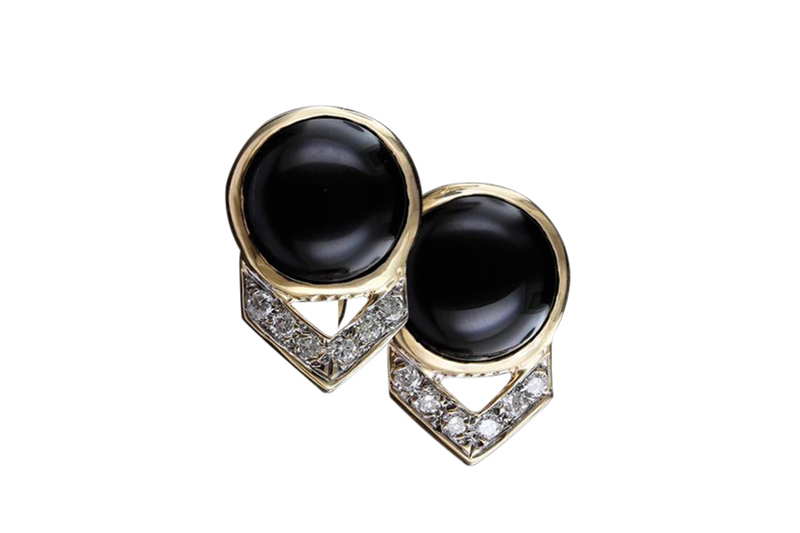 14-karat-yellow-gold estate earrings with onyx and diamonds, $790, Long’s Jewelers. 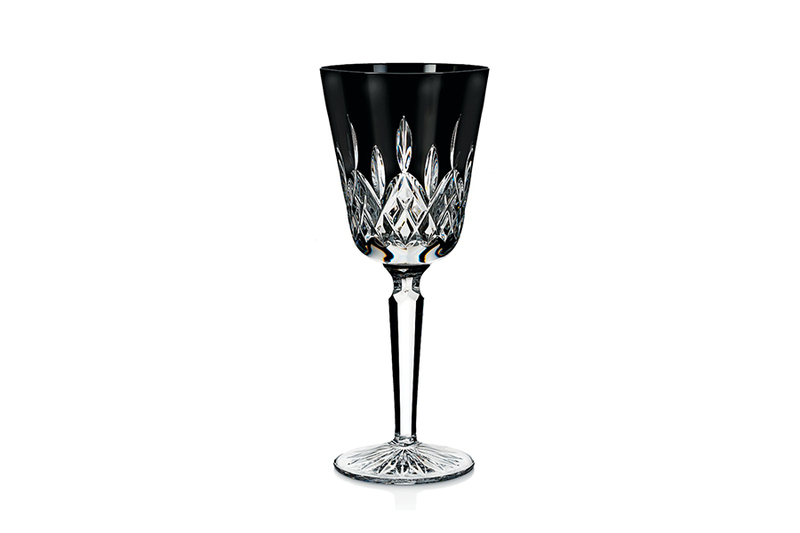 Waterford “Lismore” crystal goblet, $195 for two, Bloomingdale’s. 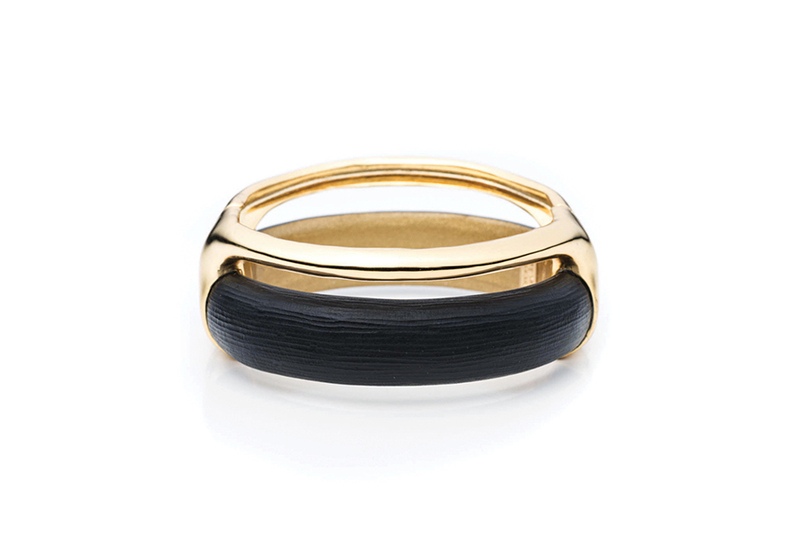 “Gold Stacked” Lucite-and-metal bracelet, $245, Alexis Bittar. Alexandre Birman “Clarita” leather sandals, $595, Saks Fifth Avenue. 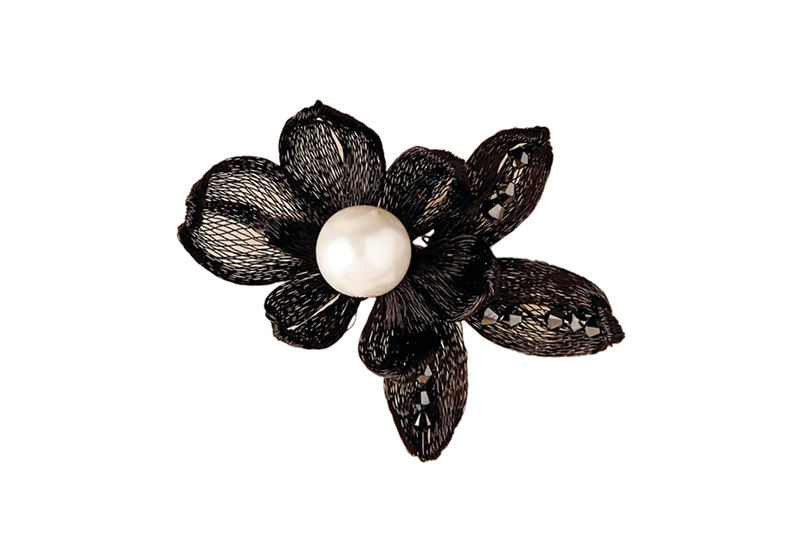 Colette Malouf “Night Bloom” pin with Swarovski crystals and pearl, $120, BHLDN.